Hatsune Miku: Project DIVA Future Tone will be getting a physical release for PS4 on November 22nd this year, as announced by SEGA in the latest issue of Weekly Famitsu. 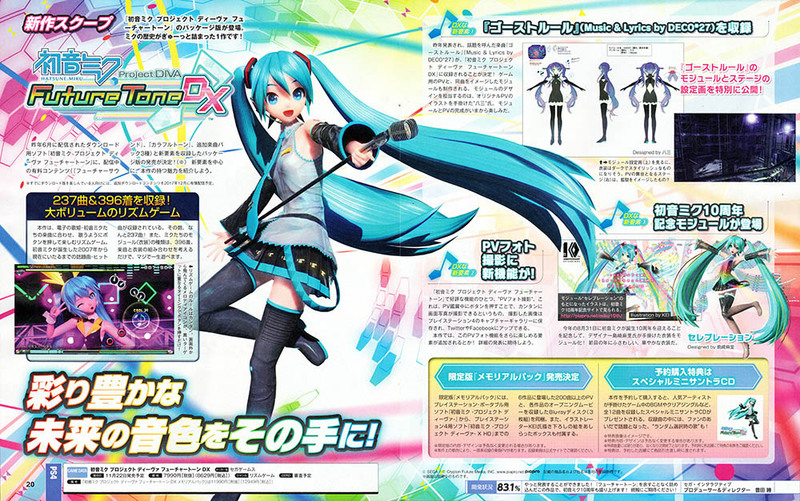 The game will be titled “Hatsune Miku: Project DIVA Future Tone DX” as a packaged release, and contains all the downloadable contents. 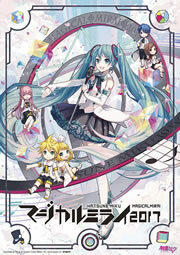 The game will include 127 songs from Future Sound, 95 songs from Colorful Tone, 12 songs from the three Encore Pack add-ons, 2 songs from Prelude, a new song “Ghost Rule” by DECO*27, and 396 modules, including the new Hatsune Miku 10th Anniversary Commemoration Module designed by Mari Shimazaki. A new feature called “Promotional Video Photographing” has been brought up, with more info due at later date. Hatsune Miku: Project DIVA Future Tone DX will be released on November 22nd at 7,980 yen for the standard edition and 11,990 yen for the limited edition. The limited edition, the “Memorial Pack”, contains three Blu-ray discs with over 200 promotional videos and all the opening movies since the first Project Diva game on PSP. Preorder bonus includes a “Special Mini Soundtrack CD” containing 12 tracks of in-game background music and clear singles. Additional songs and modules will follow as downloadable contents in December for Hatsune Miku: Project DIVA Future Tone.